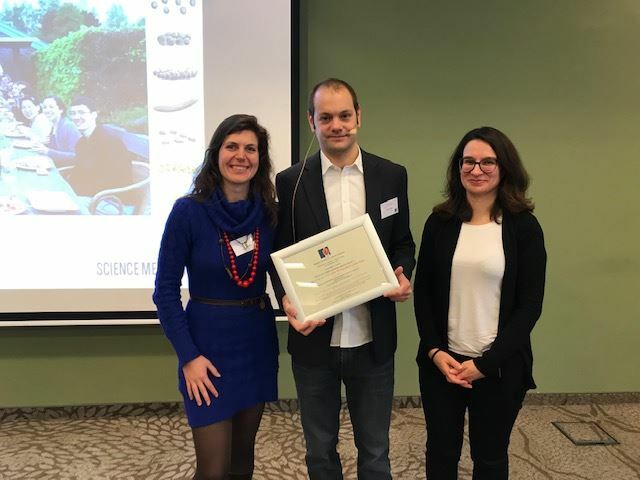 During the Annual Congress on 14-15 December 2018, the Award "Best Belgian Clinical Article in internal medicine 2017" has been awarded to the VIB research team led by Jeroen Raes and Gwen Falony for their article "Quantitative microbiome profiling links gut community variation to microbial load" published in Nature. Full citation: Nature. 2017 Nov 23;551(7681):507-511. doi: 10.1038/nature24460. Epub 2017 Nov 15. Quantitative microbiome profiling links gut community variation to microbial load. Vandeputte D1,2,3, Kathagen G1,2, D'hoe K1,2,3, Vieira-Silva S1,2, Valles-Colomer M1,2, Sabino J4, Wang J1,2, Tito RY1,2,3, De Commer L1, Darzi Y1,2, Vermeire S4, Falony G1,2, Raes J1,2.